You've finally reached the point in your culinary experience where making food from scratch gives you a huge sense of accomplishment, as it should. "Nothing from a box," is a motto to be proud of – until it comes to Thanksgiving and making the stuffing. The box of stove top, prepared dressing looks inviting, as do those bags of pre-dried and crumbled breadcrumbs. Don't give in! Homemade stove-top stuffing (to some, it's stove-top dressing) is as easy to make as pouring the glass of wine you'll need to get you through all the holiday preparations! Every cooking guideline advises preparing the ingredients ahead of cooking them. That way, you won't discover you've run out of something important to the recipe, and you're ready with the right measurements when they're needed. This is called mise en place, or putting everything in its place. Bread is the most important ingredient in stovetop stuffing. Use crusty bread with texture, and forget egg bread or soft, spongy white bread. You need the equivalent of a French baguette or country-style bread. Slice and dice the loaf into small cubes; then spread them onto a baking sheet and dry them out in the oven or overnight on the countertop. Onions, carrots and celery are the next few basic ingredients. Depending on how much stuffing you're making, you'll probably need one onion, two sticks of celery and two carrots per loaf of bread. You'll also need chicken stock, butter, oil, salt and pepper, and seasonings. 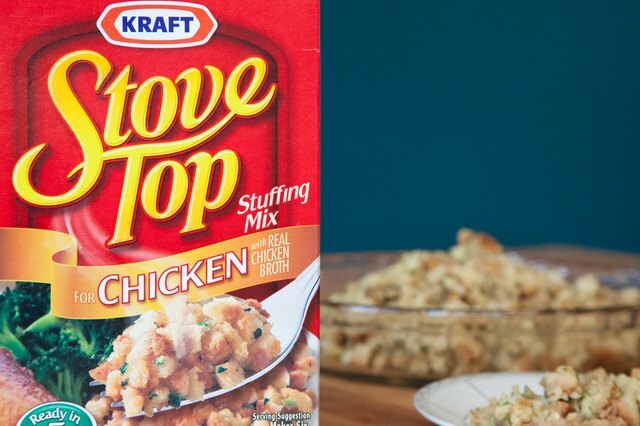 Stovetop stuffing instructions are directed by your taste buds. After you've sauteed the onion and celery in the oil and butter, creativity sets in. If you like sausage in your stuffing, saute it in a separate pan, drain it and add the sausage to your stuffing mix. Minced garlic is another possible addition, but don't overwhelm your recipe. Herbs such as parsley, sage, rosemary and thyme (is there a song in this somewhere?) are typical, as is poultry seasoning. Once you've mixed all the ingredients together, add the diced bread cubes. Pour them into your pot and start adding the chicken stock. Gauge the amount by constantly stirring as you pour; stop when you think the bread has absorbed enough liquid to remain moist. You may need to add more later, but don't overdo it in the beginning. Taste and adjust. Every family has its preferred stuffing recipe. Mushrooms, water chestnuts, pecans, apples, raisins – even a dash of curry powder or oysters have found their way into a stuffing recipe. If you need a gluten-free recipe, try making your stuffing with rice. Cornbread is traditional; just be sure it's dry enough to absorb the stock without falling apart. In the Bird or in the Oven? 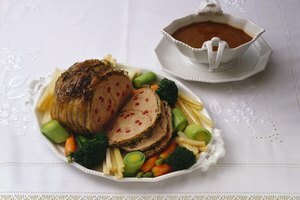 Stuffing cooked inside the turkey is the moistest preparation. 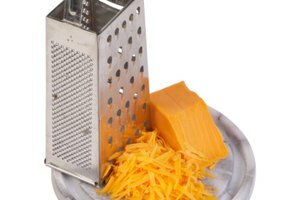 Scooping it out can be difficult, but if you have some cheesecloth, this little trick will stay with you forever! Line the turkey cavity with the cheesecloth, and spoon the stuffing into the cheesecloth-lined cavity. When the bird is completely stuffed, knot the ends of the cheesecloth, and either cut or tuck the end pieces of the cheesecloth. After you remove the bird from the oven, let the stuffing remain inside as the juices settle. When it's time to serve, simply pull out the bag and its stuffing. Clean and neat! Oven-heating the stuffing is another possibility to look out for. You want to avoid it drying out, so cover the dish with foil after sprinkling some chicken stock over the top of your stuffing. Monitor the progress, and if necessary, sprinkle on some more stock to keep the dish moist.